Today, I get to tell you about what I was created for. Many of you have already heard the story, but I encourage you to share this with someone who may not have. This is, after all, the perfect time of year! If you’ve taken the time to read my ABOUT page HERE, you might have caught the fact that I am patriotic. Cut me open and I might as well bleed red, white, and blue, actually. I cry every time I hear the National Anthem, and I’ve been known to yell obscenities at those who are being disrespectful to it at events (did I just admit that in public? Refer back to my ABOUT page. Patience isn’t always my strong suit.) Anyway… back on task. Let me tell you my story. I am the founder of the The Art of Encouragement. TAOE has a looong history. Please bear with me as I walk you through what started this remarkable ministry. Would you believe that I had the name long before the idea? In 2006, on the way back from Super Summer (a Christian leadership camp), my youth minister, Zane Newton, told me what the name of my ministry was going to be. It had a nice ring to it, but that still didn’t get me any closer to figuring out what it was I was supposed to be doing. Days before, God had given me the image of a snowy white Christmas scene, on a card, but that was all. Now, I had this neat name, but they didn’t go together. I was just as stumped as I’d been before I came to camp. For two years, I struggled with what TAOE was to become. In November of 2008, The Art of Encouragmeent was truly born. After my dad returned home from serving a Thanksgiving meal to the Clinton, OK VA veteran home, he shared about how grateful the residents were that someone took the time to come in and spend time with them. You see, these men had told my dad that Thanksgiving and Christmas were just another day on the calendar to them. They didn’t have reason to get excited. Many wouldn’t see family, or receive any gifts, so why would they celebrate? The holidays were a sad time instead of a joyful one, and I was not ok with that! We had some extra Christmas cards on the kitchen table, and she got to work signing! I may not be able to afford to buy them each a gift, but maybe I could let them know that they were appreciated with a simple card. I hoped and prayed that I could get enough to send to every veteran in the nursing home. After recruiting some others from our community, I quickly collected 450 cards to send, which not only covered the Clinton, OK VA Home, but the one in Lawton, OK as well. I was thrilled about the amount of cards the community had helped me collect, but by New Years, the project was forgotten. The following year, one of the volunteers who helped me collect cards in 2008 asked where they were supposed to send their signed cards. Baffled that people were still interested, I began collecting cards again for the Christmas of 2009. During the process, I felt a nudge. The Spirit tugging on my heart and saying “This is it…. The Art of Encouragement”. What better time of year to give people hope and encouragement. That year I sent almost 1,000 cards to veterans across Oklahoma. I also received her first big donation. A WalMart donated all of their remaining Christmas cards after the holidays were over, leaving me with roughly 9,000 cards to get signed. All of these cards were now in my apartment. My studio apartment. That year I started asking friends, churches, schools, organizations, and anyone who would listen to help me hand write messages of encouragement in as many Christmas cards as I could collect. I worked from January to October and in 2010 was able to send 10,000 cards to veterans all across the country. Let me tell you, the postage was not cheap! I worked full time while getting my Master’s degree and all of my tips went directly to postage for the The Art of Encouragement. God has continued to bless this ministry every step of the way. 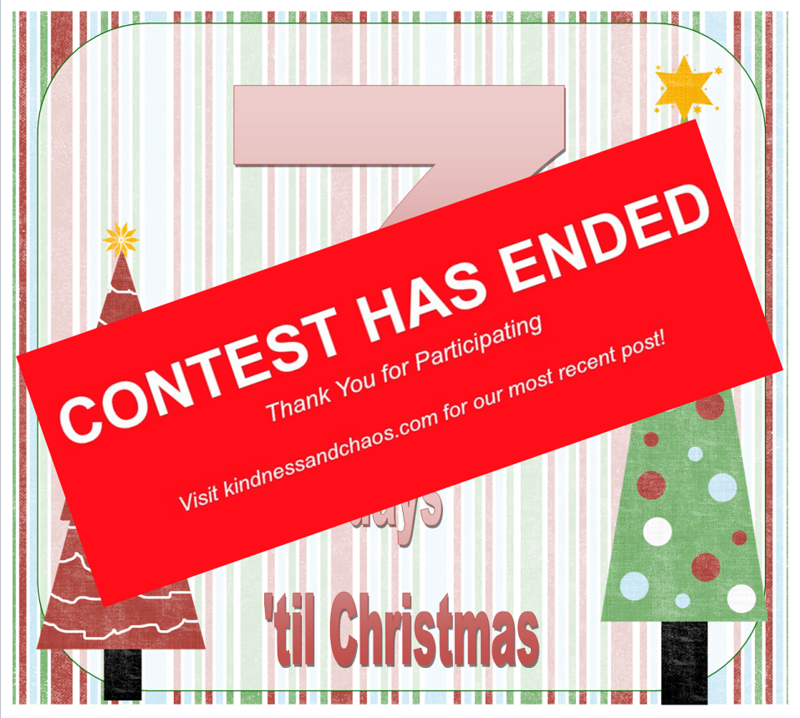 We have sent 10,000 cards 3 of the last 4 years and we just completed sending out 12,000 cards for our 7th Christmas. Does that just blow anyone else’s mind? 12,000 handwritten cards will make their way to veterans across the country this Christmas. I can guarantee you that didn’t just happen because of me. Not only is God at work in this, but I have had some amazing support along the way, AND this year we were finally able to establish our 501(c)3 so I have a stellar board of directors! Perhaps one of the most fun things I’ve been able to do is what we call Airport Outreach. For the last 4 years, I have travelled to DFW airport within a few days of Christmas and passed out a handwritten Christmas card to every military member who is travelling in uniform. I now take a Amanda, of Amanda Grace Photography, with me to capture those priceless moments. I usually pass out around 150 cards while I’m there. Amanda and I are going this Saturday, and I CAN’T WAIT to share some of her images with you! TAOE also has an encouragement package program. It’s exactly what it sounds like. We send surprise packages to heroes in need. Take the time to watch THIS video if you haven’t already. It explains far better than I ever could with words. 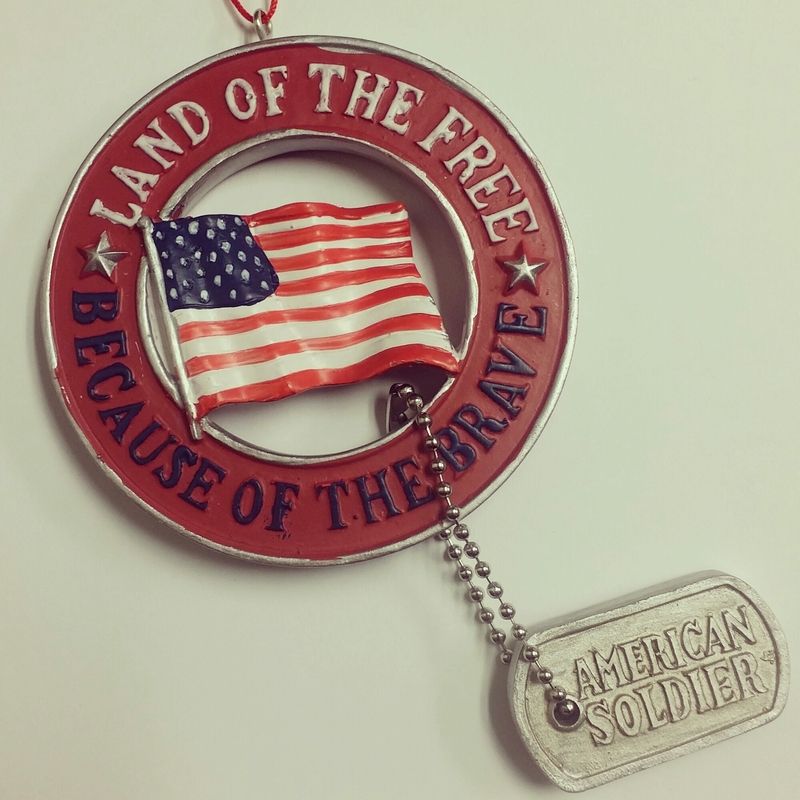 7 lucky winners will win this patriotic ornament to celebrate America and Christmas all in one! And don’t forget to follow us on Facebook for all of the latest updates! i love you and love your story! Share it with the world!!!! Again tears run down my cheeks watching God do amazing work in and through you. Praise God. An amazing gift He has given you. But not only given you but has given all of us that are Blessed to know you and the story of your Ministry. A great honor to aslo be a part of The Art of Encouragement. You are such a Blessing to all who meet you. TAOE is such a miracle. Thanks for everything. If we happen to win anything, please donate it to a Veteran. God Bless you. Wow! Amazing, you do rock Ashley! You touch everyone you come across you really do have a special purpose and God is really using you! God Bless you and your family! God is so good and faithful! Thank you for your patriotism and for loving our God so much! I always knew you were special, but your starting this amazing program proves it! I hope I can be a part of it again next year. God bless you for what you are doing!